Let us briefly review this final section of teachings of Jesus, as recorded in Matthew. The Pharisees, attempting to discredit Jesus, have raised a series of challenges. They challenged Him on the controversial issues of the day (like divorce) and on His status as a prophet. He answered those challenges and responded by very bluntly claiming that the Pharisees were just like the ancient Jews who rebelled against God, and that they would have no part in His kingdom. This kicks off a new round of challenges by the Jews. Now recall that they fear Jesus' influence with the crowds. The crowds were thick at Jerusalem in preparation for Passover; every inn in the city and surrounding areas was filled, and the streets were packed with listeners. These people had recently seen Jesus raise Lazarus from the dead and now He was attacking the legitimacy of the Jewish leadership. Usually when I have heard people teach about this subject, their teaching amounts to, "Pay your taxes" or perhaps a focus on the second half, to pay your tithe. But this all misses the context of just how controversial taxation was at the time. Rome was the most powerful empire in the history of the world, and Judea was one of its provinces. The strictly monotheistic Israelites were not the favorite subjects of the Empire, and frequently rebelled. As such, Rome was quite sensitive to the idea of rebellion. Few things brought down the swift justice of Rome like a staged rebellion. Thus, the Jews cleverly decide to try and pose Jesus as a Jewish rebel, a starter of insurrection. By doing so, they know that Rome would crucify Him. And with taxation, they thought they had their chance. Rome required very heavy taxes on its people. They required a 1% income tax, plus a tithe (10%) of all grain, plus a double-tithe (20%) of all wine and fruit, plus a variety of very vague taxes whose rates changed at the whim of the leaders: emergency taxes, property taxes, sales taxes, and temple taxes. Each Roman region had a chief tax collector; at the time of Jesus, the chief tax collector of Judea was a hated man named Zacchaeus (Luke 19:2). The chief tax collector would go and hire a number of locals to go and gather the taxes for him; this often involved a number of things that we would consider horrible violations, such as searching your goods at a moment's notice. 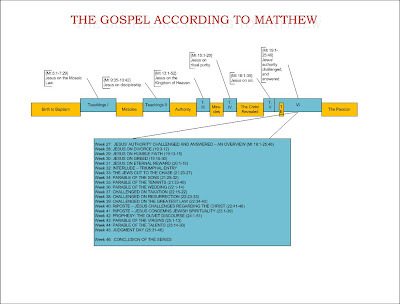 (One such local tax collector was the apostle Matthew). So the tax collectors were often corrupt, as they had the power of Rome at their back and the ability to be "fluid" with the tax codes to take a little extra for themselves. To make it worse, these tax collectors were taking money and goods from the Israelites and giving them to the Roman overseers. Have you ever noticed that when Jesus is trying to insult the Pharisees, He tells them that they will not get to heaven but "prostitutes and tax collectors" will? Yeah, tax collectors and prostitutes were seen as basically the same. In all, taxes were seen as a great evil and a support of the oppressive Roman regime. The Jews believed (and their Law was clear) that they were to rule this land, that their tithes were to go to the priests, and that they were not supposed to have to pay all of these extra taxes. So the Roman occupation was evil; the taxes which supported it were evil; and the method of collecting those taxes were evil. And to attempt to keep the taxpayers off your back, you could not possibly still be tithing to God as required by Scripture. Their flattery here is a setup. They hope to remind Jesus in front of the crowd, that He does not care what anyone thinks--so He should be completely comfortable speaking out against Rome, in public. They brought the Herodians with them; the Herodians were Herod's workers, and had been appointed as regents over Judea by the Romans. The Pharisees hope that, in front of the Herodians, Jesus will publicly denounce the authority of Rome. This would be seen as insighting an uprising, and be a capital offense. They then ask Him to tell whether it is "lawful"--that is, in the Mosaic Law--to pay taxes to Caesar. Of course they know well what the Law says: the tithe is to go to the Temple. So they are hoping that Jesus will simply reaffirm the Law of Moses, which the Herodians will see as a "stealing" of the tithe that their masters in Rome are requiring. Jesus is not tricked by what they are trying to do. 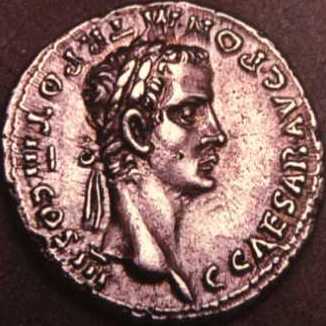 So He has them bring Him a coin, and shows the head that is on it is Caesar's. In other words, Caesar is the one providing the coin, so he is right to ask for his due percentage. What Jesus says here is twofold: first, that they should pay their taxes to the civil government if they are going to collect the benefits of that government (such as coin); second, that they (being Jews) STILL owe a tithe to God ("[render] to God the things that are God's"). The Jews try to put Jesus in a spot by making Him choose between the people paying their tithes to Caesar as a tax, or paying their tithes to God. Jesus does not choose either option that they give Him. He says that they owe God their tithe, but since they are using Caesar's coins and Caesar's economy, they ALSO owe Caesar His just due. To put this in practical terms for us, it means that we do owe taxes to the American government, but this in no way diminishes the generosity that we owe to other people and to the cause of God. We simply must sacrifice our living all the more, and live that much 'poorer', in order to provide both for God's kingdom and for the legal requirement of where we live. This is why the people leave, astonished. Not only did Jesus successfully avoid the trap that they tried to create, but He told them that God's kingdom cannot be shortchanged just because of the regime that they are under. He also clearly states that because they are using Caesar's economic system, they must follow Caesar's laws for it. Jesus not only failed to start the uprising, but He showed that they were hypocrites (v.18) for using Caesar's money and yet using it as a political issue to force people to choose between Caesar and God.